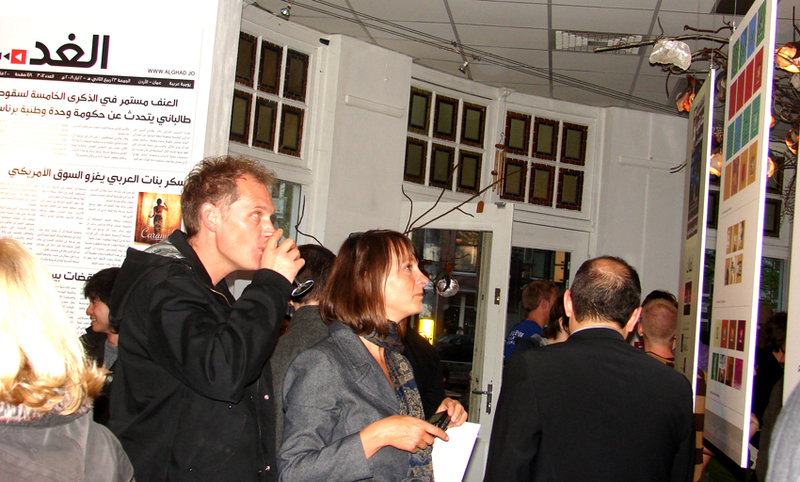 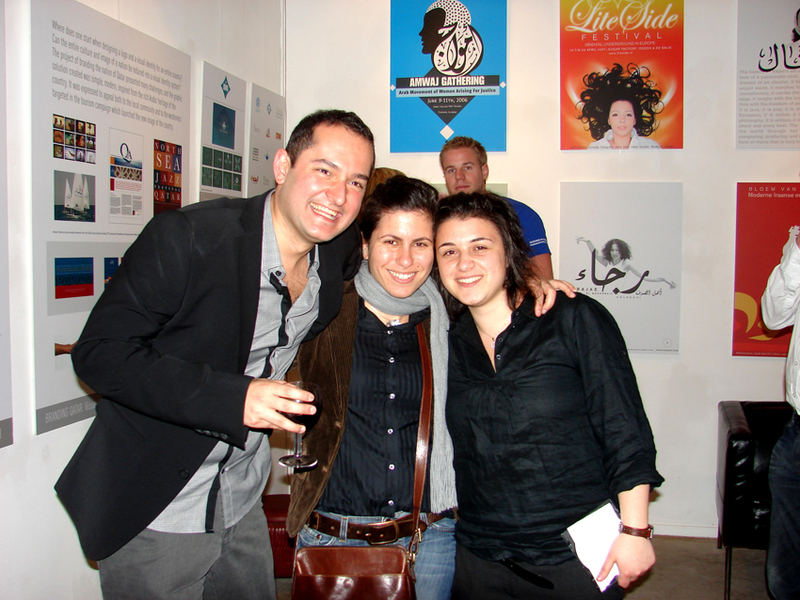 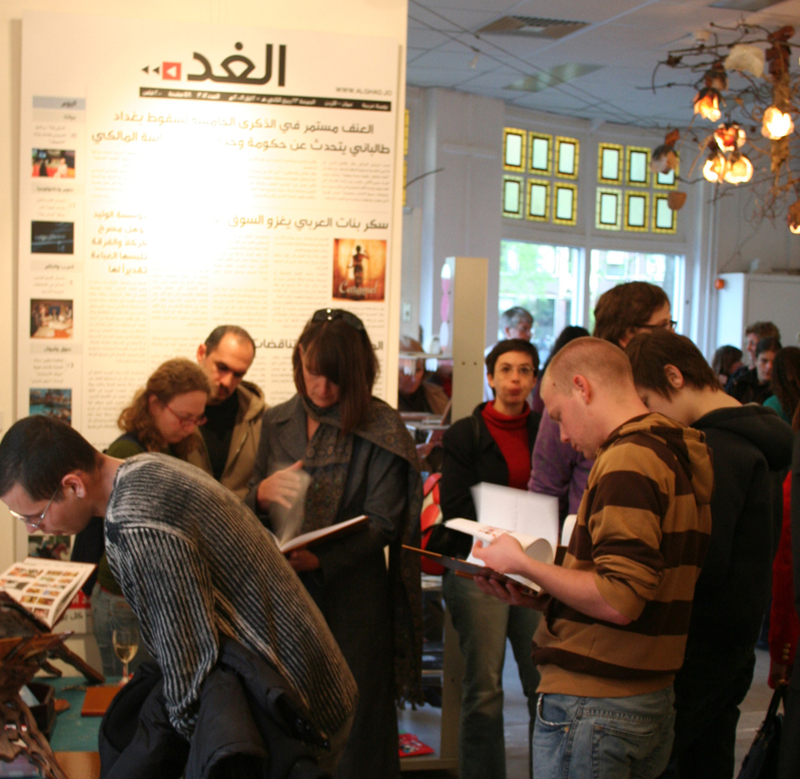 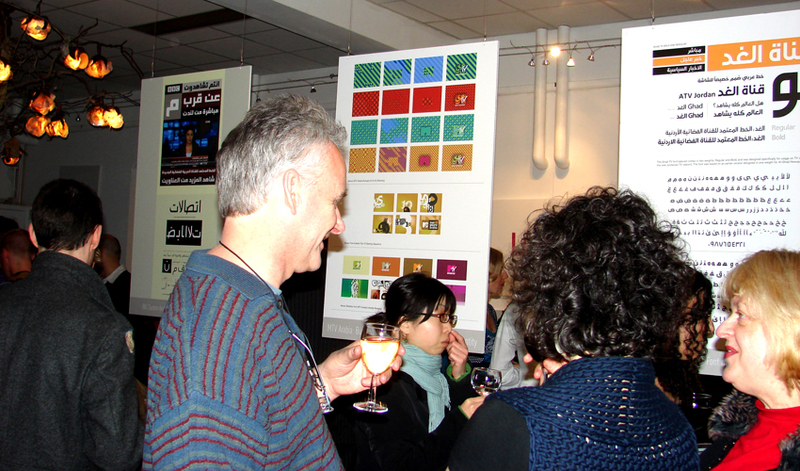 The opening of the Exhibition "Arabic Graphics: the work of Tarek Atrissi in Exhibition" took place on Friday May 2nd 2008, in the presence of the Lebanese Ambassador in the Netherlands and a crowd of dutch and Arab designers, and people interested in Arabic Visual Culture. 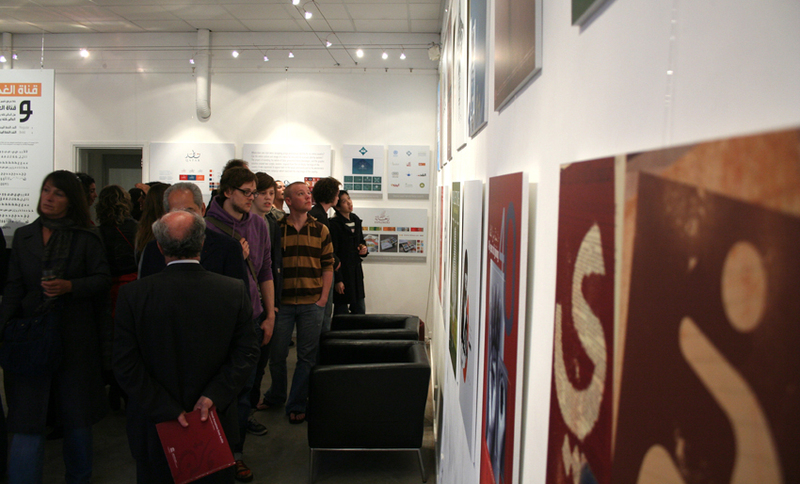 This page include some photos from the opening event. 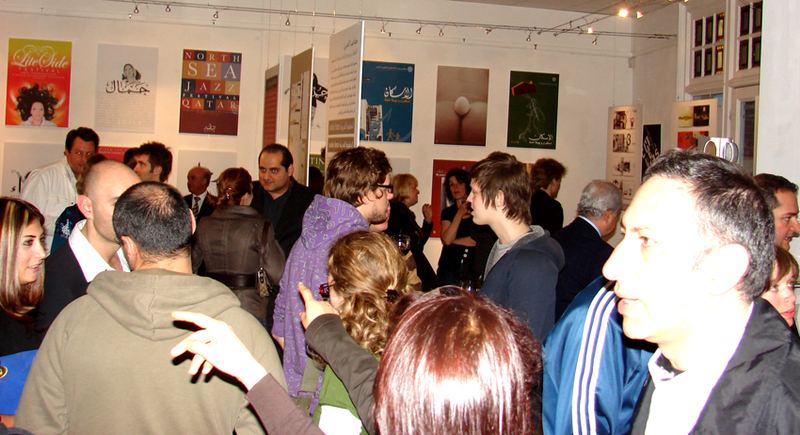 The Exhibition initially planned until 22 June has been extended until the end of August 2008. 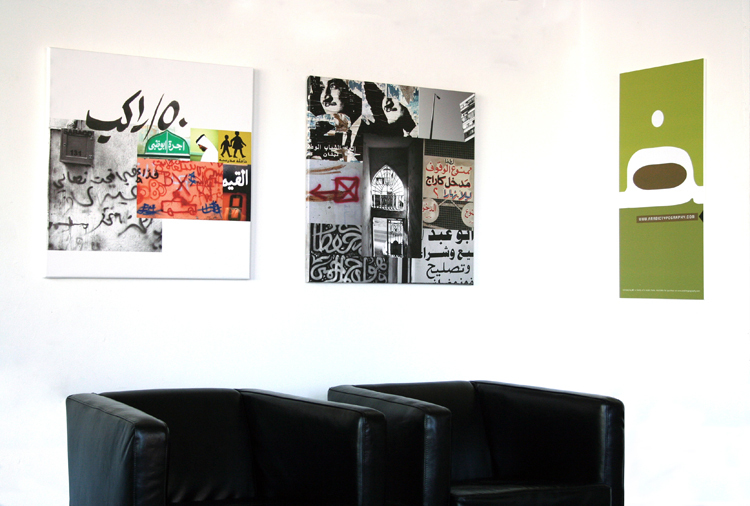 The Exhibition will feature a varied selection of Tarek Atrissi's work developed over the last ten years in Lebanon, New York, Dubai, Qatar and The Netherlands- for commercial and non-commercial projects & commissions around the world. 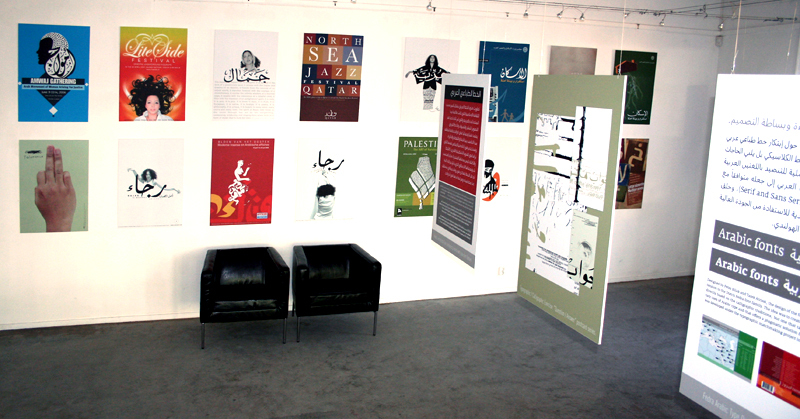 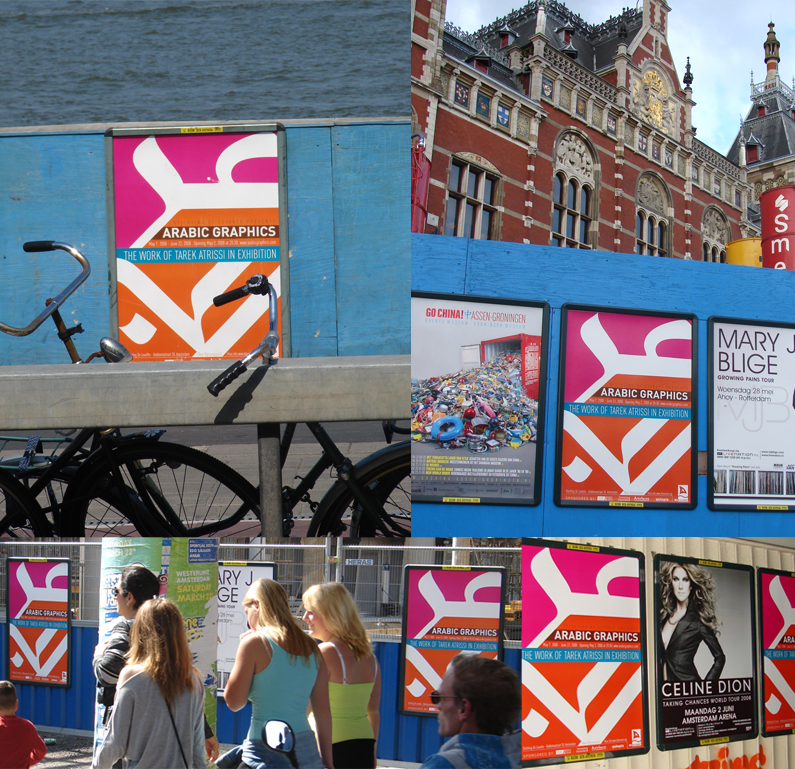 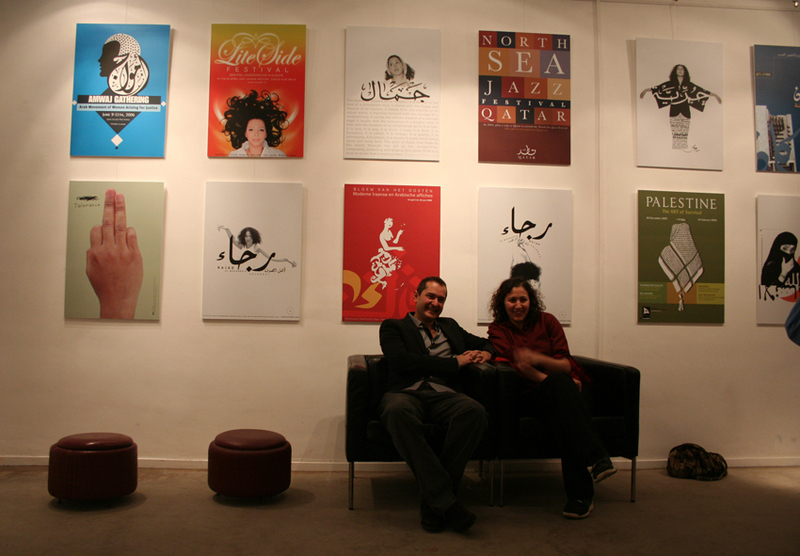 The Graphic Design work displayed will include Posters, Visual Identities, Typographic and Calligraphic Work as well as interactive design work; a selection of work which is often distinguished by a strong cross cultural flavor and often described as a modern Arabic Graphic Design Language.